The Oscars of mixed martial arts in Asia is coming. If the West has the World MMA Awards, the East has the Asia MMA Awards, and boy is it going to be a night of prestige built out of blood, sweat, and "Are you not entertained?" spectacle. Tap Media, the organizing body which also runs the media assets The Fight Nation, Rough Magazine, and AsiaMMA, has resurrected the prestigious event and found a new home for it in Hong Kong's PMQ Ballroom, at the heart of the city's Central District. At the gala dinner on September 14, a month of public voting will culminate in the reveal of the winners of the 17 categories which include Fight of the Year, KO of the Year, and Event of the Year. A regional panel of respected journalists covering the beat, including commentators, trainers, gym owners, and industry bodies collectively curated a shortlist of finalists for the voters to choose from. To qualify, all events and bouts must have taken place in the Asia-Pacific region between May 31, 2017 to May 31 of this year. Of course, the plum prizes are the Male and Female Fighter of the Year with big names such as One Championship titlists Angela Lee and Martin Nguyen, Rizin FF's Kyoji Horiguchi, and Road FC's Ham Seo-Hee all vying for the top spots. Filipino representation is also strong in the awards with five nominations overall, with Baguio City's Team Lakay figuring prominently in three of the categories. Matt Eaton, editor in chief of The Fight Nation and host of the awards said he was excited to celebrate the entire industry's continued rise, especially the Pinoys who've given their all for the sport they love. 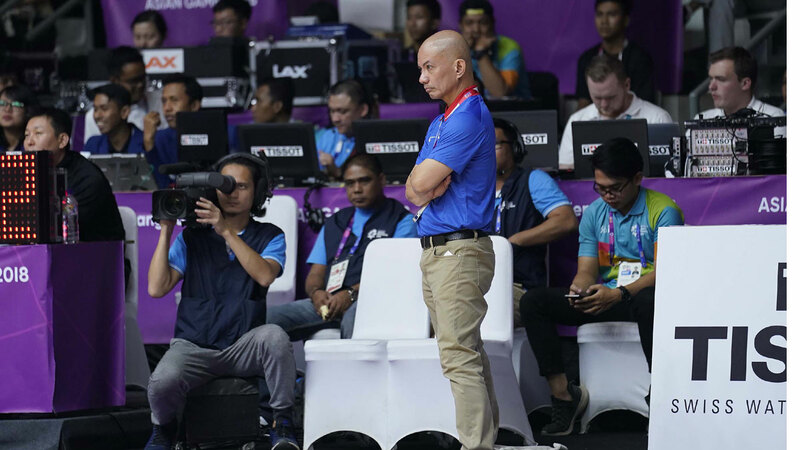 "Over the past 12 months we have witnessed some amazing efforts from Philippine athletes in the cage," said Eaton. "The Asia MMA Awards will turn the spotlight back on these magic moments and on all the personalities who make the sport what it is today. Congratulations to all the nominees from the Philippines, we'll celebrate their pride of country and their astounding victories in the cage come gala night." With Kevin Belingon's win over Martin Nguyen at last month's ONE Championship: Reign of Kings card, Team Lakay from Baguio City is the MMA team in the promotion's seven-year existence to hold the most belts under their banner. But they do face tough competition in this category. Going up against Team Lakay are giants in the field like Singapore's Evolve MMA, Tokyo Tribe MMA (home of some of the Pride FC-era contenders), South Korea's TEAM MAD, the George Hickman-run Tiger Muay Thai in Thailand, and China Top Team in Beijing—all arguably with First World pedigree and are notably well-funded. It was a tough road to becoming one of the best teams in Asia but the bloody grind has paid off with four championship belts in four different weight classes, two of which are currently on their trophy shelf. "I have massive respect for all fight teams, but I believe there is no question that Team Lakay is now the #1 fight team in Asia today. Despite a very modest budget and limited resources, Mark Sangiao has produced one of the best fight teams in the world. Every fighter on Team Lakay is a genuine monster with outstanding skills, unlimited cardio, and extraordinary gameness." "The Silencer" Kevin Belingon is famous for honoring his native roots with a group of performers from his hometown of Kiangan usually joining him on the walkout platform caparisioned in traditional bahag, scarves, headdresses, and spears (sometimes with fellow teammate Danny Kingad). As Belingon waits for his cue the performers bang their gongs and stage a traditional Ifugao warrior dance of the highlands. It's a brief moment of local pride for lowlanders and Cordillerans alike, harking back to a not-so distant past when the Ifugao were feared head-hunters and warriors. Belingon is up against the cosplaying fighter couple from Thailand Rika Ishige and Shannon Wiratchai, who've been known to put on displays of pop culture characters in their walkouts like Chun-Li from Street Fighter, the Pink Power Ranger, a Pokemon trainer, and T'Challa, the Black Panther. One of the most prominent photographers in combat sports, Carvajal has made a name for himself also doing landscape, vehicles, portraiture, and cutting his teeth in local PR among others. As he travels around the world on assignment for One Championship, this Pinoy lensman has captured some of the most brutal, bloody, inspiring, and jubilant moments of the world of MMA in Asia. Team Lakay is undoubtedly reaching unseen heights after spotted marks in late 2016 and early 2017. Now, their resurgence is in full force with ONE champs Eustaquio and Belingon on the rise and BRAVE FC bantamweight kingpin Stephen Loman holding court. 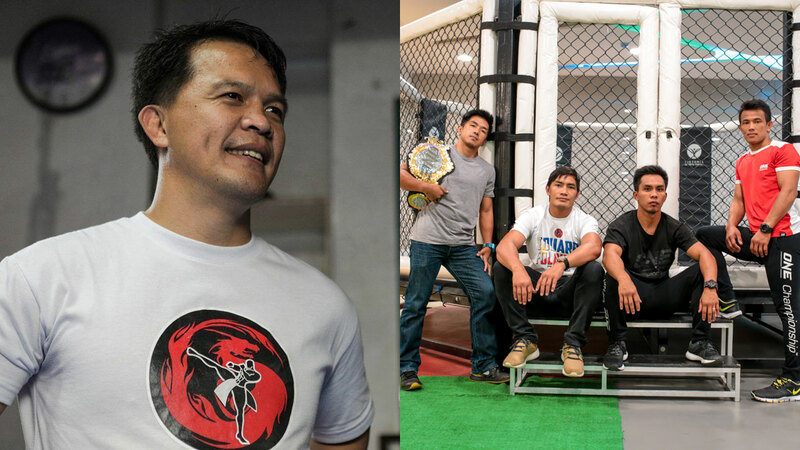 The fighting mastermind behind it all is Lakay MMA Tap Team’s head coach Marquez "Mark" Sangiao, the former URCC fighter who's turned his expertise to making champions out of his Cordillera stable of beasts. While former ONE champs Eduard Folayang (who's currently training in the US at Jackson-Wink Academy) and Honorio Banario are racking up win streaks in their divisions, standouts Edward Kelly, Danny Kingad, Gina Iniong, and April Osenio are carving their own marks in the promotion as well. And now that 22-year old rising star Joshua Pacio has just bagged a title contention rematch with Yoshitaka Naito, Team Lakay may yet enshrine another gold belt on their trophy shelf soon. In this category, Sangiao faces Tiger Muay Thai's MMA head coach and former Bellator fighter George Hickman, and the fight tactician from Busan: Sung Hoon Yang of SoKor's Team MAD who's crafted the likes of the "Stun Gun" Dong Hyun Kim and "Korean Superboy" Doo Ho Choi into UFC main event starrers. Those are some pretty big names, no doubt. Currently the UFC's only Asian (and Pinoy) Octagon Girl, Red Dela Cruz has roots in Quezon City and was formerly a ring girl for the now defunct Pacific Extreme Combat (PXC). The young model earned her new gig by winning the first UFC Octagon Girl Search in Asia way back in 2015 and has been based in Sydney, Australia ever since, commuting sometimes to visit family in Manila. So far she's done UFC events in Japan, Singapore, Korea, and Australia. It's great to see this 5'5" brown girl not only representing Asia but putting homegrown Filipina beauty on the world stage as well. Up against her are some of the brightest stars to walk cageside in Nathima Attasophinwatthana of Full Metal Dojo in Thailand, Lee Ji Na of ONE Championship, Siena of ONE Championship, and Lim Ji Woo of ROAD FC.